Guess who's not invited? With over 50 million books in print, Barbara Park's New York Times bestselling chapter book series, Junie B. Jones, is a classroom favorite and has been keeping kids laughing—and reading—for over 20 years! 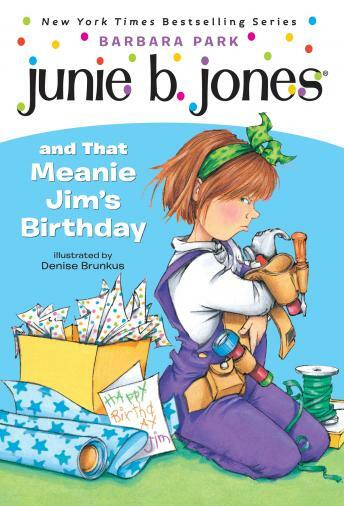 In the 6th Junie B. Jones book, that meanie Jim has invited everyone in Room Nine to his birthday party on Saturday—except Junie B.! Should she have her own birthday party six months early and not invite Jim? Or should she move to It's a Small World After All in Disneyland?